Came into stock: 6th October 2016. 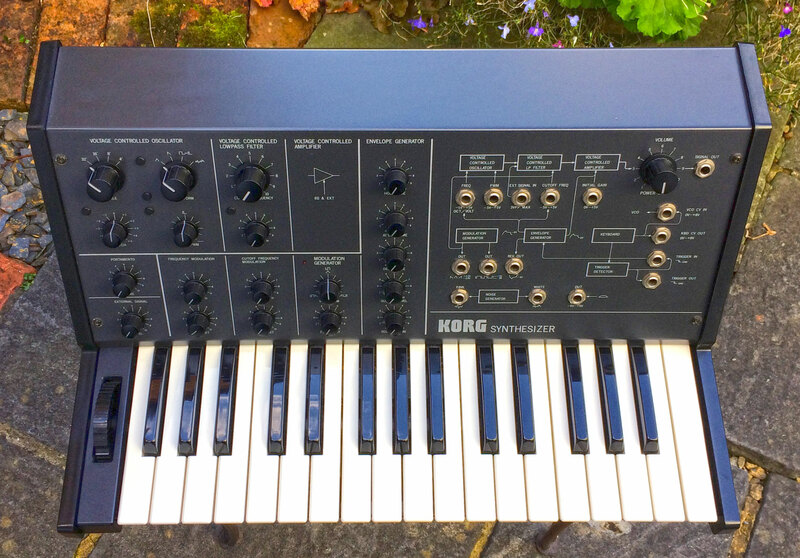 Remarks: We purchased this ‘as-new’ condition Korg MS10 from a UK customer. The cosmetic condition is collector grade – immaculate, and is 100% fully operational. 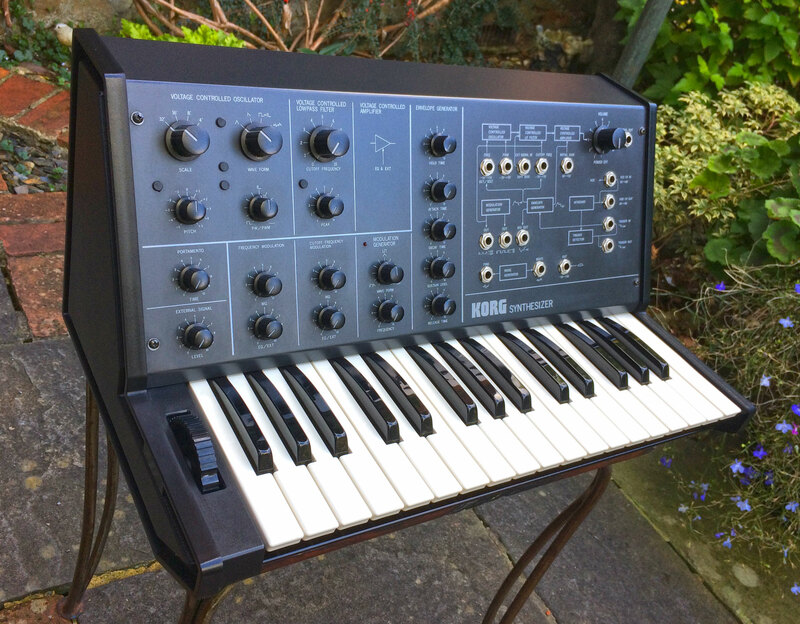 The plan we had with this museum quality MS10 was to potentially start building a full collection of MS series instruments for the ‘RL Music Collection,’ but we’ve been diverted from that mission for the time being, so the little MS10 is being opened up for sale. 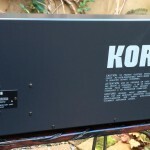 This particular example is an EU220V model, and is fitted with a UK plug. 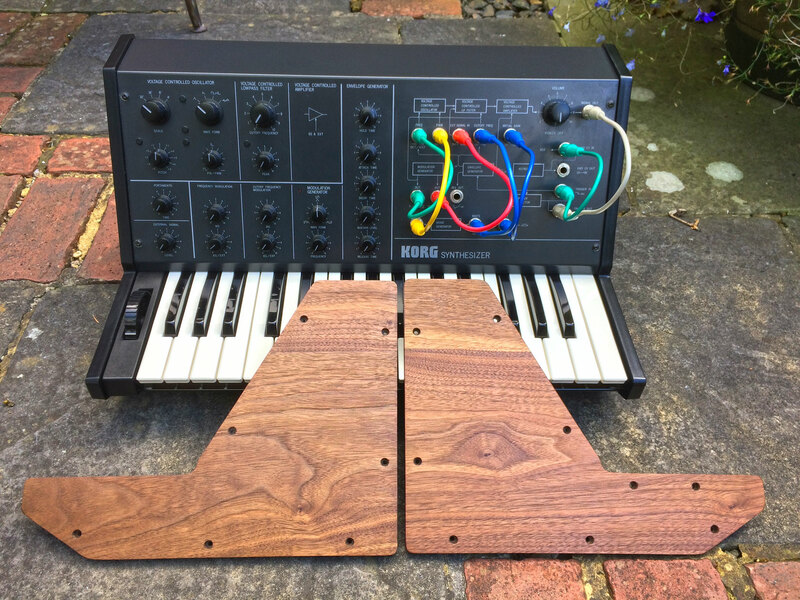 The Korg will also be supplied with all the (new) coloured patch-cables as pictured. 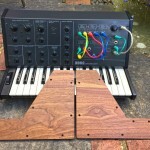 Also, the last owner had purchased some Walnut end-cheeks from Lamond Design, so we are including these with the synth. 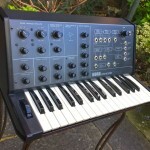 This Korg MS10 sold with a full 3 month warranty. 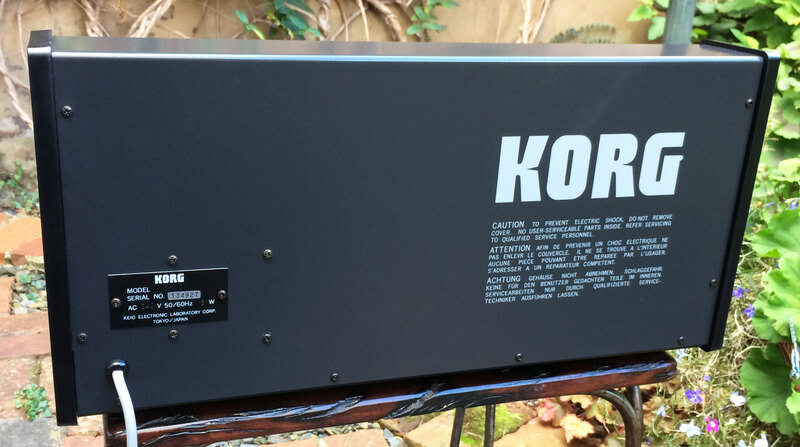 Availability: This Korg MS10 is now SOLD as at 26th October 2016. 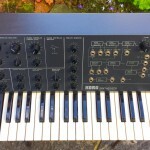 Click on the Thumbnails for higher resolution photos of actual instrument for sale.